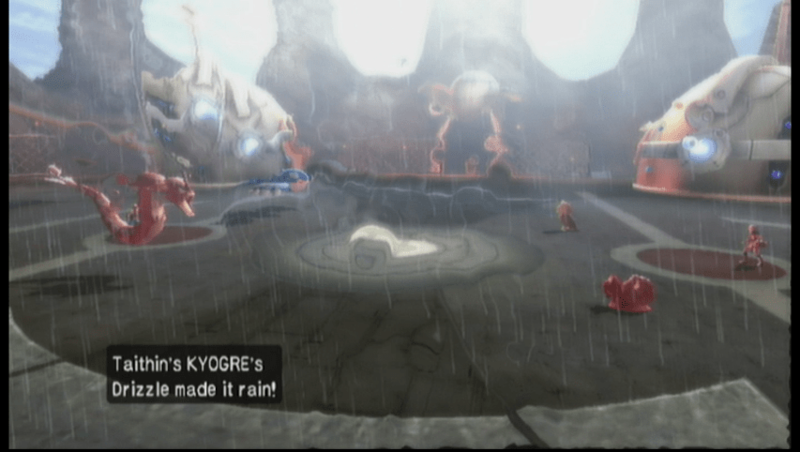 Taithin’s Kyogre in the Wii game Pokémon Battle Revolution bringing the rain. In Generation 5, You lost access to a huge amount of Pokémon that was only available over the PGL website. While all the Pokémon that where found usually could be found in the other games, they had something about them that couldn’t be gotten in the older games. Hidden Abilities. Every Pokémon species in the game has would have an ability that affected them regardless of the move their moves. For example: Kyogre’s unique ability Drizzle made it rain once you brought it out. A Pokémon with a hidden ability, could only be found in certain places. 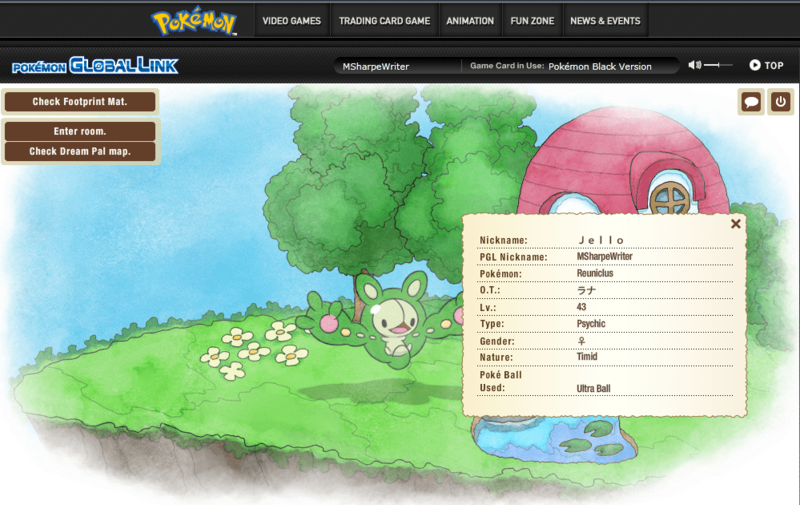 Most of these places happened to be in the Pokémon Dream World, which was attached to the PGL site. For example: A Hidden Ability Politoed would have Drizzle, instead of the Water Absorb. In the Dream World with “Jello” a Japanese Reuniclus, caught by Lana. Taken 14th April 2011. That wasn’t the only loss, as Dream World was the best place to get berries. Berries are consumable items that Pokémon could use upon reaching a certain condition. A Oran Berry would restore some HP after taking a big enough hit. In Black and White, there was no way to reliably obtain any of 64 berries in the game. Every berry could be found and grown in the Dream World, but with the Closure of the Dream World, you also lost the ability to obtain berries in any form. Pokémon Black 2 & White 2 however had ways to have a constant supply of selection of useful berries. Moving on to Generation 6 with X, Y, Omega Ruby and Alpha Sapphire, a new Global Link site added new functions to the site. The good news is that almost all the services and store items won’t be lost. The online Store requires a “in-game” currency called Pokémiles. They earned by walking in game, trading and using other communication functions. The Games themselves have store for people who do not go online. The online PokéMiles Store on the site only has three items that is not in the PokéMiles store in-game, Lemonade, Heart Scales and the Ability Capsule. Lemonade while not commonly found in X or Y, other items can do the same job but with more or less HP restored. The Heart Scale can also be found only on certain wild Pokémon usually Luvdisc, but as the item required to reteach forgotten moves to certain Pokémon, it’s uses are limited. The Ability Capsule is the most expensive item in the Battle Maison, it’s effect of changing an ability between one of two common abilities that Pokémon could have, is usually not required in game. Back to the berries, out of the 67 berries available, only 5 berries can not be found in a location in any of all four games. Some of the ones found in game, are quite hard to find, and require some work to obtain. The berries that are not found in game are Enigma, Micle, Custap, Jaboca and Rowap. The missing berries are available via Minigames on Global link. Some of the missing berries are also been held by recent event Pokémon such as Darkrai and Shaymin, holding the Engima and Micle berries. The good news is the ability to grow more of the same berries is possible in the Generation 6 games, so someone can trade with a friend and obtain a berry they do not have. The Missing berries and items from the games. As you can only get random item from that Minigame’s pool of items, this means you could spend a large supply of PokéMiles before you can obtain the item you want. It may take a player many tries go get Micle berry from the mini-game that offers it. 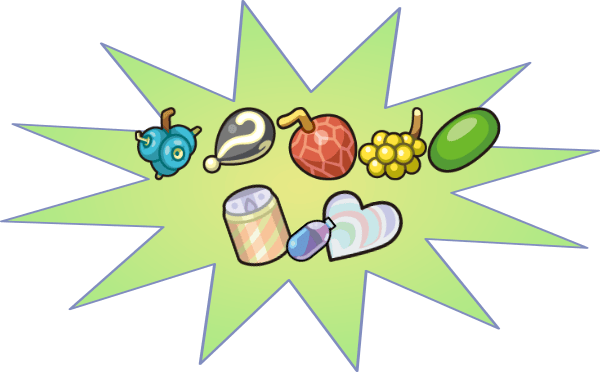 All the other items found in the Mini-games can be found somewhere in game, or the effects in a few cases can be replicated with other items. Like the Heart Scale, some of the items are found on certain Wild Pokémon. A few items rewards from several Minigames can be found as rewards in the 3DS game. Some of the lesser used items can also be found in the Battle Masion. The two big online battling features will also shut down, but as these modes where controlled by officials from the Pokémon Company, they’ve chosen to not continue providing support for older game, and moving to Sun and Moon are the games of choice. I think Game Freak learned a lot from having berries being exclusive to the Dream World in Generation 5. Many competitive battlers could use the berries to as part of the Strategy. The Rest/Chesto berry is one commonly used and easy to understand combo. Rest restores the Users HP but also makes them sleep for two turns, while a Chesto berry will wake up a sleeping Pokémon, include ones that have just used Rest. Pokémon Dream World required a Flash-enabled PC, which was during a time Mobile gaming on Android or Apple’s iOS was taking off. There was additional issues in that most Wifi networks were configured to not work with the older Models of the DS. With Generation 6, the loss of the Global Link probably wouldn’t hurt as much as the the Generation 5’s Global link shut down did to their games. The 5th Generation Global Link was a Flagship feature, that even got mentioned on the box. Well, I’m going to spend the next few days trying to get a Rowap Berry.